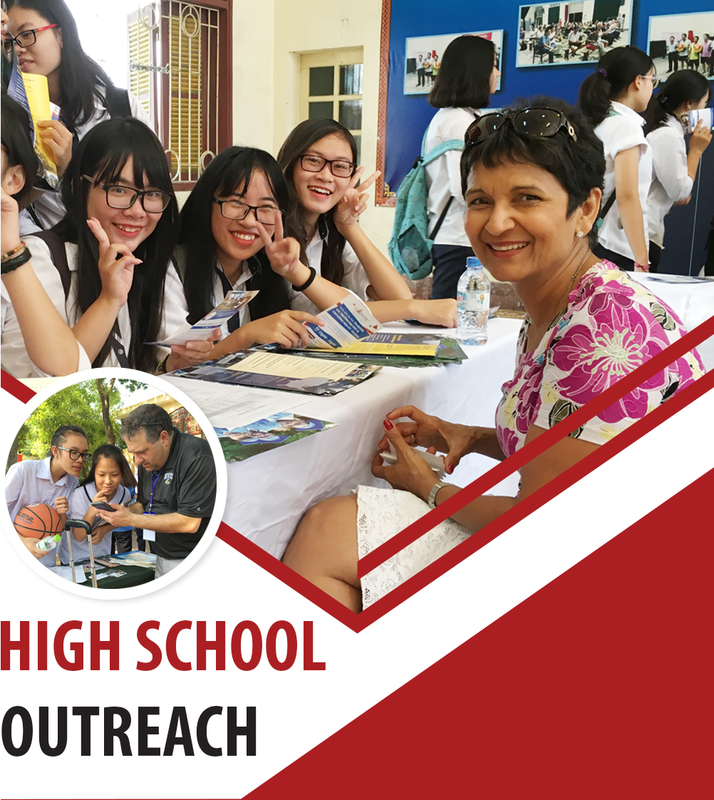 We organize trips to targeted high schools, both Vietnamese public and private, from which the overwhelming majority of overseas-bound students come. Since the visits involve foreigners, we need to obtain official permission. There is a modest cost associated with that and the visit itself. Visits to international high schools, which are not as promising in terms of student recruitment, are free of charge. We’re happy to connect you with international schools, especially in Hanoi and HCMC.